"Ralph is an excellent salesperson, very knowledgeable of..."
"Peter was very helpful with making suggestions. We did rely..."
"Liked what I saw in workmanship and service. Outstanding..."
Pro Home 1 is a BBB accredited, licensed and award winning contractor that excels in window installation. Wouldn’t you love a home that stays warm in the winter and cool in the summer—without spending a fortune or straining your heating and cooling unit? Pro Home 1 will make your dream a reality with our wide selection of windows. Whether you prefer traditional elegance or modern curvature of bow or bay windows, all of our replacement windows are designed to give you the style you love and the energy efficiency you crave. Get a FREE estimate today on a replacement window installation in the Wood Dale, Schaumburg, Mount Prospect, IL area by clicking the FREE estimate button below. Full Frame Replacement Windows are available in fiberglass, wood and vinyl with custom designs to replace the exterior and interior portions of your windows. Pocket Replacement Windows, on the other hand, replace the interior portion of your windows, as they fit inside your current trim and frame. Commonly known as Vinyl Replacement Windows, these windows come in a number of different finishes. We carry a number of door shapes and sizes. Whether you want to replace your patio door or your front door, we have you covered. We will take care of the measuring for you, as well, during our in-home consultation. We will also help you determine the style that fits your home’s personality. Anderson is the largest and most used manufacturer of windows and doors in North America. With over 100 years of experience in producing high quality building materials, Anderson offers unparalleled durability, performance, and industry leadership. Simonton Windows & Doors is a proud member of the Ply Gem family and a leading manufacturer of quality windows and doors. They were founded in 1946 and differentiated themselves from the rest of the industry in 1981 by being one of the first manufacturers to begin producing energy-efficient vinyl windows. They've come a long way since and now offer 12 different window and patio door lines with varying customization and stylistic options. Simonton has been honored numerous times and received various awards including Highest in Builder and Remodeler Satisfaction seven times by J.D. Power. Vinyl windows provide a durable, low maintenance and energy efficient window option, at a great value, and Simonton brings you the very best in vinyl windows. With Simonton, you are ensured a lifetime of comfort and quality with their Double-Lifetime Limited Warranty and AAMA Gold Certification for all of their windows. This advanced certification program tests for thermal performance as well as air, water and structural integrity, so you know you are getting a superior product. Vinyl is one of the best materials to choose for your windows, and will add to the value of your home. An excellent insulator, vinyl windows can help lower utility bills they are trustworthy through the most extreme weather conditions; they never need more than an occasional rinse to stay looking new for years; and they are a breeze to operate. Simonton Windows allows you to easily find the perfect style of windows for your home, with every window custom built to your exact specifications. Alside provides the latest energy-efficient products backed by industry-leading warranties and can assure customer satisfaction with every investment in their business. Alside has specialized in over 70 years of excellence in the exterior building products industry and they stand by their innovative ideas and functionality of their products. Alside has over 65 years of experience as an industry leader in replacement windows. Alside Windows deliver unmatched beauty, strength and energy savings while being are custom-made to fit your current window openings precisely. For more than 85 years, Pella has been among the leading window and door manufacturers in the United States and Canada. Pella is recognized as the gold standard in the industry for quality, environmental stewardship, and energy efficiency. Beechworth Windows are proudly manufactured in America, and will give you the aesthetic look you've been looking for in your home. Therma-Tru is one of the nation's top providers of high quality doors that are not only aesthetically pleasing to compliment your home, but durable and energy efficient! Therma-Tru doors will enhance your home's look as well as reduce energy costs by preventing the loss of conditioned air. Therma-Tru's Fiberglass Entry Doors are designed with energy conservation and captivating beauty in mind, while also providing long lasting durability. - Rich, deep colors and designs to compliment your home. - Insulated to prevent air leakage and lower your energy bills. - Alternative option to wood or steel. Therma-Tru's Steel Entry Doors come in three options, all safe, dependable, and highly efficient. - Modern, sleek designs with high definition panel embossing. - Fire-rated doors to offer protection and allow more time in case of a fire. - Long lasting, high quality material you can rely on. Pella works with elite installers to ensure that their high quality products get the best installation possible. Pella offers a wide variety of wood window styles and shapes to perfectly complement your home. Pella's wood windows offer beauty, warmth and design flexibility, with exceptional energy efficiency. Plus, they are backed with a limited lifetime warranty. 450 Series - Choose from Pella's most popular styles, sizes, features and options and enjoy exceptional energy efficiency. 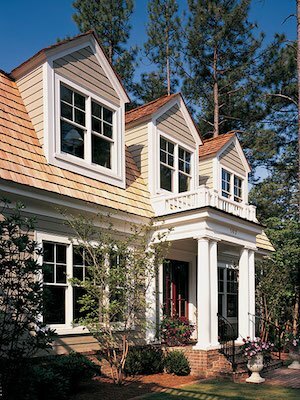 Architect Series - Choose from traditional, fine crafted wood windows that add architectural interest to your home or modern wood windows featuring clean, smart lines. Designer Series - Exclusive snap-in window fashion technology that protects from dust and damage and featuring between-the-glass blinds, shades and grilles. Whatever is most important to you, whether it's beauty, performance, style, value or all of the above, Andersen the right products and features for your home. Gain natural light. Replacement windows will increase the light and air flow in your home. Improved home comfort: Replacement windows and doors will eliminate drafts that enter your home, keeping your home at the temperature you want and ensuring a consistent temperature throughout the house. Increased energy efficiency: By eliminating these drafts, new windows and doors also help make your home more insulated and your heating and cooling system more efficient, saving you money. Enhanced safety and security: If your windows or doors don't fit properly, they could be susceptible to being forced open. Properly-fitted replacements will reduce this risk significantly. Reduced outside irritants: New windows and doors will help keep indoors and outdoors separate, reducing the amount of dust, allergens, insects, and noise that enter your home. Increased home value: Upgraded windows and doors will not only improve your curb appeal, but they can also raise your property value. We will help you find the right type of windows and doors for your home's needs, ensuring that you get the perfect fit for your design. We will work with you to answer all your questions and ensure your satisfaction. Our knowledge of industry standards and trends keeps our product line current, so you can find the best fit for your window and door replacement needs. We offer a FREE In-Home Consultation from an experienced estimator. We are insured and fully licensed. You can trust our crews who’ve undergone training and certification in product installations. We offer a 5-Year Labor Guarantee. We have something to fit every style and budget. We represent integrity, professionalism and honesty. We promote energy efficiency and will be sure to install your windows to be as efficient as possible. Choosing the right contractor is just as important as finding the right windows and doors. Proper installation will help prevent air infiltration and costly water damage to your home. If installed incorrectly, your windows may not operate properly. During your free in-home appointment, your window specialist will ask you what you're looking for in a window or door, show you samples and take necessary measurements. You will then receive a free quote for your window and/or door replacement project. The experts at Pro Home 1 will help you find the perfect solution for your home and give you a high-quality installation. Call us today to get started with a free estimate in Wood Dale, Schaumburg, Mount Prospect, Arlington Heights, Des Plaines, Wheaton, Palatine, Lombard , Naperville, Elmhurst and the surrounding areas!